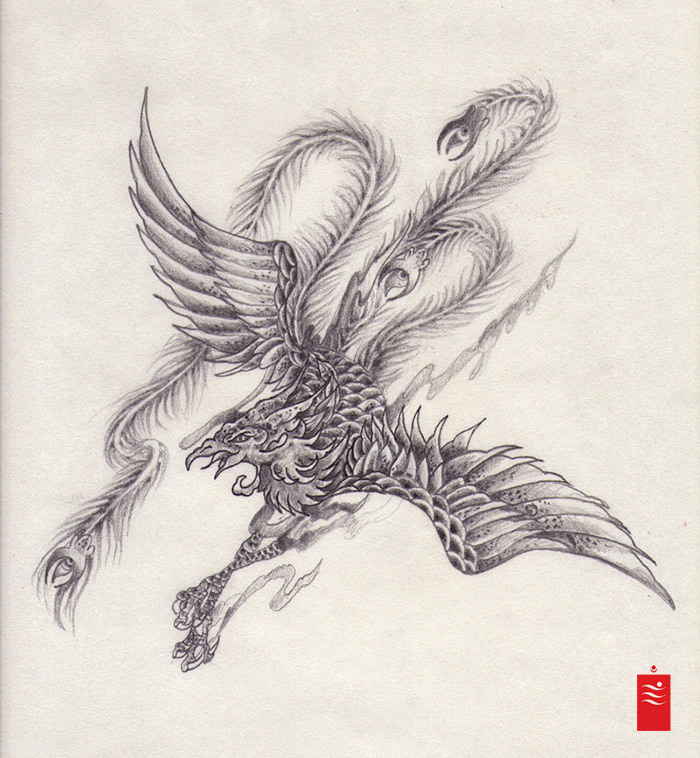 [wp_eStore_buy_now:product_id:12:end] Black and Grey one point Phoenix Tattoo Flash - 1500 JPY Approx 15 USD. Approx. size 14×30 cm and 22x25cm, Scanned at 300 DPI.